In addition to quality copying, scanning, duplex printing and rapid output up to 45 ppm, the Lexmark X652de multifunction laser offers the benefit of high-speed faxing. 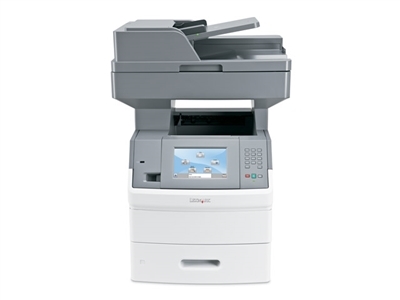 Compact, easy to set up, and built to deliver a quality multifunction experience, including fast duplex printing and copying, superior color scanning, and fax capability. With rapid output speeds up to 45 ppm and a built-in solutions framework driven by a customizable 7-inch color touch screen, more productivity is within your reach.